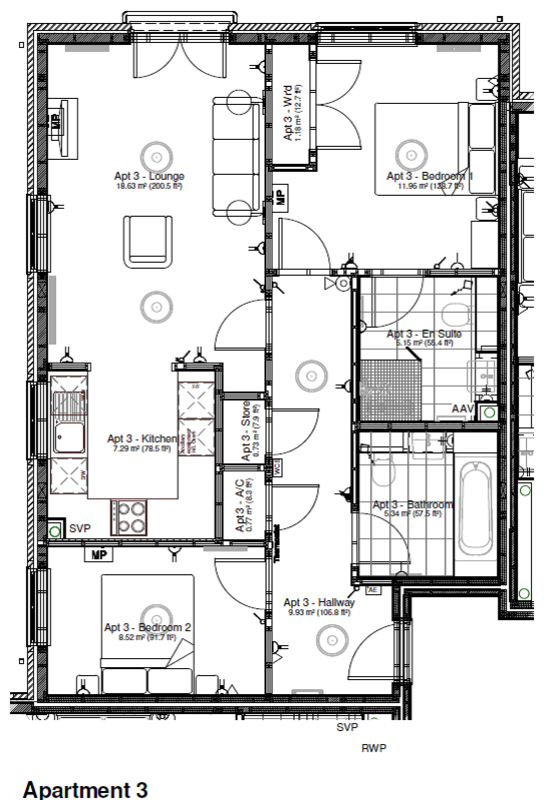 A two bedroom, one bathroom, ground floor brand new apartment. A spacious entrance hallway with two storage cupboards, single radiator, coving and call monitor with 24 hour emergency access. Open plan lounge/diner/kitchen with double glazed doors opening onto a Juliet balcony and side window, two panelled radiators, polished chrome sockets and switches. Carpet to the lounge area and luxury wood plank vinyl to the kitchen. A modern fully fitted kitchen with white gloss units with laminate work top, ceramic black hob and glass splash back. Eye level single oven in tall housing unit with cupboard above and drawers below, integrated dishwasher, washer/dryer, integrated fridge freezer. and one and a half bowl sink and drainer All units are fitted lower and deeper to maximise space and usage. The kitchen also has a window to the side. A spacious double bedroom with double built in wardrobe, coved ceilings and radiator. Fully tiled walls and floor, same level walk-in shower with glass screen. Back to wall WC, semi counter basin with fitted two door vanity unit and a full recessed cut and polished mirror above, heated towel rail and emergency pull cord. Double bedroom with coved ceilings and radiator. Opposite bedroom two is a large bathroom, comprising of bath with glass screen and shower attachment. Fully tiled wall and floor with a recessed basin, back to the wall toilet, fully fitted cabinet and recessed mirror and heated towel rail. For full information on the service charge, please contact the Sales Consultant. • Full on-site professional estate management. • Upkeep and maintenance to the exterior of buildings and grounds. • Provision of a maintenance reserve fund. • Heating, lighting and energy costs of communal area. • One hour’s domestic cleaning per week. • Weekly collection and laundering of bed linen. • Emergency call & monitoring system. • Facilities include: restaurant, bar, shop, guest suites – additional charges apply, treatment rooms and croquet lawn. Owners of a Retirement Villages Lease are required to pay an assignment fee on re-sale of the property which is a percentage of up to 10% of the re-sale price of the property when it is re-sold or they can choose to pay the fee at the time of purchase. Please ask the Village Manager for more details and a copy of the financial implications. Recessed down-lighting in kitchen, bathroom and ensuite. Pendant lighting in living areas and bedrooms. Chrome sockets and switches throughout. External lighting to terrace/balcony areas where applicable. Extract in kitchens and bathrooms. Wiring for TV, FM and satellite signals to living room and bedrooms. TV points in all bedrooms. Telephone connection points in the living room, hall and bedrooms. Heating Interface Unit supplying radiators and domestic hot water connected to the Village CHP plant. Fully fitted kitchen from HATT Kitchens with soft door and drawer closes. Laminated or Silestone work surfaces (as advised by sales consultant). NEFF integrated appliances with fan assisted single oven,ceramic hob, and extract. Integrated Zanussi fridge freezer, dishwasher and washer dryer, a number of apartments also have a separate utility room with standalone washing machine and tumble dryer (as advised by sales consultant). Stainless steel bowl and a half inset sink with mixer tap. JHS Design Works Plank Luxury Vinyl flooring in Silver Birch. White Ideal Standard sanitary ware and chrome Grohe fittings. Johnson Tiles Select Collection porcelain floor and wall tiles to bathrooms and ensuites, with detail mosaic tiles to shower areas. Walk-in shower in ensuites with Hansgrohe shower controls. 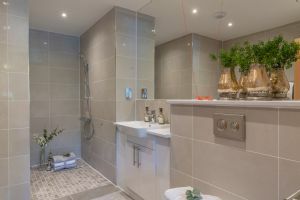 Baths (where applicable) include chrome mixer tap with shower and screen. Bathroom base cabinets with shelving. Premdor Innova White Oak Veneer doors with decorative inlay and combination brushed and polished chrome ironmongery to all apartments. Integral wardrobe in master bedroom with shelf and hanging rail. Premium Grade (50oz) JHS Haywood Twist carpet (80/20 mix) in Oatmeal to hall, living/dining areas and bedrooms. All walls and ceilings finished in matt emulsion. Gloss finish to skirting boards and architraves. Low energy lighting in all rooms. A & B rated appliances to kitchen. This information provides only a general outline and guidance. The company reserves the right to alter the specification without notice prior to sale. 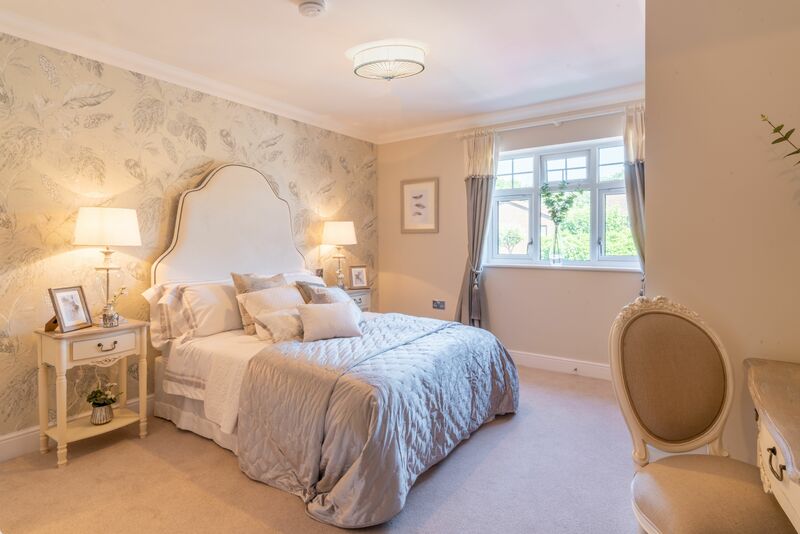 Elmbridge Retirement Village is undergoing something of a transformation with the building of a multi-million pound country club-style facility plus 39 one and two bedroom apartments. 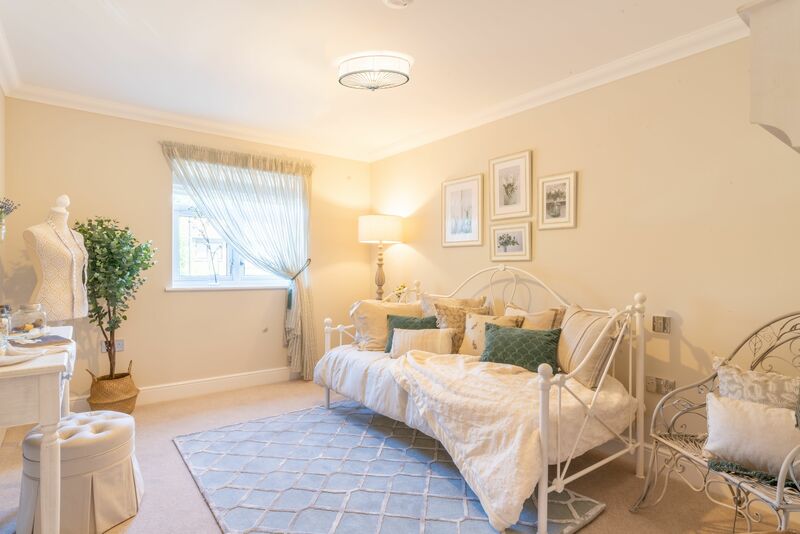 If you would like to arrange a viewing of the village please contact us and we would be delighted to show you around. 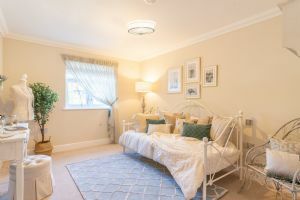 Read about the latest news, views and events from Elmbridge Village to get some insight into village living Retirement Villages’ style.